The Hermann Coburg Teddy Bears are designed by the best designers and made by highly skilled workers. All Teddy Bears are produced in Germany. The mohair fabric and the other materials used for the Hermann Coburg come from the best German and European manufactures. This gorgeous teddy bear was in Germany by Hermann-Spielware. 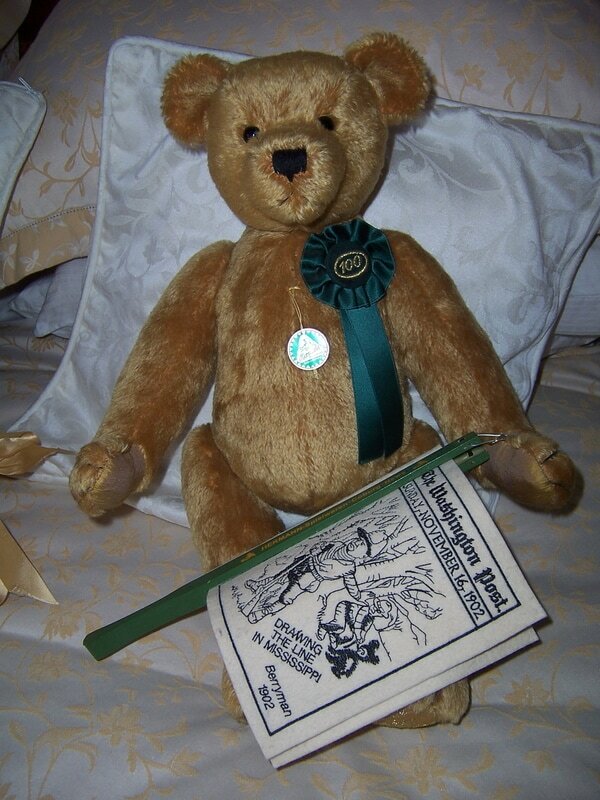 He celebrates the Centennial birthday from 1902-2002 for all teddy bears. .a musical movement inside him which plays ''Happy Birthday to you'' when wound up.